My four-year-old and I love to play puzzles. We especially enjoy math and contraption puzzles, but I’m very interested in trying all kinds of puzzles. If your kids also love to play puzzles, I’m sure they’re going to appreciate Meerkat Puzzles, a fun app that offers various puzzles. These include ciphers, Sudoku, and other puzzle variants that you don’t see every day in kids’ apps. Meerkat Puzzles introduces kids to cryptic puzzles. Throughout Meerkat Puzzles, you will be playing with a family of Meerkats who goes on crazy adventures: sky diving, navigating the Sahara, and visiting haunted houses. Along the way, they will encounter all kinds of puzzles, and they require your help to solve them. The app contains 15 puzzles that are categorized into three themes: Meerkat Days Out, Let’s Get Busy, and Meerkats Exploring. Some puzzles, such as jigsaw puzzles and spot-the differences, you’ll no doubt find familiar. The rest, however, are less commonly found in kids’ apps. For example, one puzzle requires you to decipher a cryptic message written in an ancient alphabet system. In another puzzle, you must solve 4×4 Sudoku puzzle that uses icons instead of numbers. Finally, a third puzzle is a map exploration game where you must understand the four cardinal directions (North, East, South, West) to collect a number of items. Meerkat Puzzles is suitable for juniors ages 5+ who love to play puzzle games. Younger juniors should also be able to enjoy most of the games on their own, except maybe the cipher puzzle and 4×4 Sudoku games which require advanced problem solving skills. As kids play the app, they can gain new knowledge. For example, juniors can learn new vocabularies, such as mummy, campsite, and go-kart, in the word search game. The map exploration game is also a great way for learning to follow directions. Play word search game and learn new vocabularies in Meerkat Puzzles. As a puzzle enthusiast, I enjoyed the cypher puzzles and the Sudoku game. 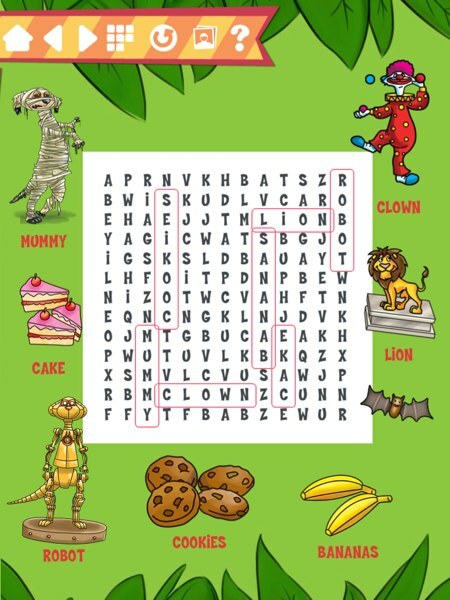 I absolutely didn’t expect to find these kinds of puzzles in a kids’ apps, but they are surprisingly kid-friendly. I do think juniors ages 5+ are already able to play more complex puzzles like these. I also find the meerkats mascot cute. Based on the included meerkat creation mini game, they seem like a bunch of fun and wacky animals. There aren’t many apps that use meerkats as their mascots, which makes Meerkat Puzzles memorable. Kids can learn to play Sudoku using the simple 4×4 board in Meerkat Puzzles. Meerkat Puzzles is a fun activity app for juniors ages 5+ who love to play puzzles. In the app, juniors can play simplified Sudoku and cipher puzzles, which should prepare them for more advanced puzzles later. If you’re looking for a dedicated puzzle app to satisfy the curious little minds at home, you should definitely check out Meerkat Puzzles.